Last week I shared my “key facts” on the proposed tram extension. To rival this, the Council has issued it’s own factsheet… below. This is not Edinburgh’s first tram. Edinburgh’s first tram was introduced in 1871. By the time they were removed in 1957, there were 47 miles of network. Edinburgh Trams was named ‘Global Light Rail Operator of the Year 2017’ and the UK’s best transport operator for customer satisfaction. Our trams are among the most advanced in Europe, offering a fast, safe, and reliable service that connects the city and the airport with zero on-street carbon emissions. There are 27 trams operating along the current 14 kilometres (8.5 miles) of twin lane tram track from York Place to the airport. The trams have a top speed of 70 kph (43.5 mph). Each tram is 43 metres long, with a capacity of 250 passengers (three times that of a bus). Why has the cost gone up from £165.2m to £207.3m? Total construction costs are now estimated in the Final Business Case (FBC) to be £196m. This includes a significant risk allowance to take account of any foreseen and unforeseen risks to the project. Over and above the risk allowance included in the £196m, a further uplift for optimism bias has been added in accordance with government guidelines, taking the total project cost to £207.3m. The initial estimate of £165m in the updated Outline Business Case did not include the uplift for optimism bias and reflected the information available at that point in time. It was always the case that the Council would market test the pricing before making any final decision. As well as market testing there have been other changes which are set out below. As it is approximately 18 months since the updated Outline Business Case was finalised, inflation has been added to the cost plan. Since the Outline Business Case was published, we have seen the collapse of Carillion leading to changes in the way risk is analysed and priced by contractors tendering for major infrastructure projects. This is reflected in the tendered prices received. There have also been significant changes made to the design based on feedback received from the community during consultation. This has led to changes in the construction costs to reflect the outcome of the consultation. In order to ensure the team hit the ground running when construction commences, a period of Early Contractor Involvement (ECI) will commence, should the project be approved. This will allow the Council team, contractors, designers and utility providers to co-locate for a period of six months to plan the delivery methodology and phasing in finer detail. This is considered best practice in the industry and is consistent with all other major projects in the UK. This additional six month period is now reflected in the cost plan. Finally, following feedback from the public and business community in Leith, the Council have devised a comprehensive package of support measures to help business throughout the works. This includes a business continuity grant fund to help alleviate short-term cash flow issues, dedicated business development champions, business upskilling, logistics hubs, customer service officers, extra help to keep the area clean and attractive and technological solutions to help local business connect more easily with each other and their customers. The total value of this package is approximately £2.4m (including contractor contributions) and is included in the updated costings for the project. Taking account of the above, the Council is confident that the project can be delivered within the updated project cost of £207.3m. The FBC outlines that the project remains both affordable and deliverable. This has taken account of various economic, social and environmental factors, with the city set to benefit in all these areas following completion of the line to Newhaven via Leith. When do you expect the Tram to be operational? Passenger services are projected to begin in early 2023. Has the £20m extraordinary dividend been confirmed by Lothian Buses? Yes. The dividend has been confirmed over a period of 11 years. What input has Lothian Buses had to the final business case in terms of the impact on their business? The Council have worked closely with Lothian Buses during the development of the final business case. The Council will continue to work with Lothian Buses closely in developing traffic management arrangements, including the implementation of bus priority measures to speed up journey times to minimise the impact on Lothian buses and its customers by keeping the city moving and placing the provision of public transport high on the agenda. How supportive are the residents of Leith to the tram? Early in 2018, the Council commissioned Progressive Partnership – an independent polling company based in Edinburgh – to carry out an on-street survey on attitudes towards tram. The methodology used ensured that the 370 people who were interviewed were a fair reflection of the demographics of the local area. The outcomes of the survey were very encouraging, especially considering that this research exercise was carried out ahead of the extensive public consultation and engagement with the local community. When asked, unprompted, to suggest what form of transport improvements could be made to the street, the largest number said tram (37%), followed by an improved bus service (28%) and a further 23% who would like to see an improvement in cycling/walking infrastructure. Respondents were also asked whether they believed that the tram would benefit the local area with 59% agreeing (41% strongly agreed) versus 30% who said it would not. Stripping out those who answered ‘neither agree nor disagree’, 66% agree that the area will benefit vs 34% who said it would not. On how likely respondents were to use the tram, 56% said they were likely to use the service, with 25% of all respondents saying they would definitely use the service. How extensively did you consult with the local community and did their input have any effect on the project? During our consultation exercise throughout 2018 with the community, we spoke to thousands of people at our many public information events. As well as this the Council hosted a number of community design workshops which were well attended by a cross section of stakeholders. In doing so the Council have been able to produce an updated set of plans that better reflect the aspirations of the local community. In autumn 2018 the Council presented the updated plans to the public via a series of information events and an online consultation. The results were encouraging, with the majority of people agreeing that they were an improvement on the plans we published earlier in 2018. How did the community respond to the chnages made to the design during the second round of consulation? When asked “to what extent do you agree that the updated plans have given better consideration to active travel provision?”, 80.8% of those expressed a preference agreed. On the updated designs for Elm Row, 76.3% who expressed a prefernce agreed that the new plans have created a better public space for all. Access to and from side streets for motor vehicles was highlighted as a concern during the early stages of consultation. When asked if the new plans had improved access to and from side streets 80.5% who expresses a preference agreed. The permeability of Leith Walk or, in simpler terms, the ability to cross the street easily and safely was improved upon following feedback received. This is demonstrated by 85.1% of all respondents whi expressed a preference agreeing that permeability and crossing points had improved versus previous proposals. The final question focused on a new location for the proposed Balfour Street stop. In all, 86.1% who expressed a preference agreed that moving the stop 60m towards the city and introducing a signalised junction has remedied previous concerns. What Council services are being reduced to pay for Tram to Newhaven? The Trams to Newhaven project will be paid for through tram fares and a £20m extraordinary dividend from Lothian Buses. What resources will be put in place to deliver the project should it get the go ahead? The cost plan allows for a project team reporting directly to the Council’s Senior Responsible Officer for the Trams to Newhaven project. This team will provide all required project, contract, commercial, risk, technical and communications management. The contractors will also be mobilising project teams and working in collaboration with the Council’s project team. What is happening with the Hardie Inquiry? What are projected passenger numbers for the Tram to Newhaven project? Optimism bias is a percentage added to an overall project cost in order to mitigate potential under-estimation of risk by a project team. In line with government guidance the £207.3m project cost includes an uplift for optimism bias on top of the other risk allowances. As part of our consultation, we commissioned an independent survey to understand local behaviours and attitudes towards taking the trams to Newhaven. The research was carried out by Progressive Partnership, an Edinburgh-based market research company. This involved a ten-minute on-street interview with a representative sample of 368 people at three locations along the proposed route. The Final Business Case for the Tram to Newhaven is now online. The plan is that the line can be funded by ticket income (from the existing and extended line) and dividend income from Lothian Buses. This means that there should be no impact on day-to-day services. There is an argument, however, that the ticket and dividend income could have been used in a better/other way. The construction cost is £156.7m. Taking into account a number of factors, it is estimated there is a 80% chance of delivering the project for £207.3m or less. A second study showed that there is a only a 61% chance of delivering the project for £207.3m or less…. and there is a 80% chance of delivering the project for £257.3m or less. The Council is therefore proposing a contingency fund of £50m. If the project were to cost £257.3m it is estimated that there will be £1.25 of benefit for every £1.00 spent. There are three votes needed to approve the project: (1) Transport & Environment Committee, (2) Finance & Resources Committee & (3) Full Council. Way back in 2015 the City of Edinburgh Council agreed to implement the 20 mph scheme and around this time last year the final phase was completed. During my election campaign I raised concerns about how it was being implemented and as I was not quite “on message” copies of my leaflet were reproduced in the Evening News (something I was not absolutely unhappy about!). Now that the scheme is almost a year old, however, the Council is reviewing it with the aim of producing a report in the summer. I was concerned about the public response to the review (now closed), so I set up my own survey to collect Ward 8 opinion. It is not representative, but some of the questions raised are interesting. In total a little under 200 people took part – 59% were female. In total a whopping 54% of those that took part said they were opposed to the scheme from day one (30% were supportive and 16% were unsure). Furthermore, now that it is implemented, opposition is still sitting at 54% but the number of people who are supportive is now 40%. This result, however, hides one factor – women were slightly less likely to oppose the scheme – only 49% did so (46% were supportive). It is important not to stereotype those who are against the scheme as somehow being against road safety in general. Some said they wanted safer streets around schools and more said they wanted key 40 mph roads reduced to 30 mph (Lanark Road, Comiston Road/Buckstone Terrance/A702 were mentioned repeatedly). Despite being against the 20 mph scheme, several respondents also noted that Oxgangs Avenue should be reduced to 20 mph. Like the A702 and Lanark Road, Oxgangs Avenue is a road which physically divides a community, and makes it harder for young children to walk safely to school and/or local parks. In summary, whilst the 20 mph scheme may remain unpopular, in many households support is growing. Furthermore, even those that still have concerns feel there is more to be done to make our capital’s streets safer. My comment on the EIS briefing on cuts to Edinburgh’s nurseries. Below is an EIS briefing on the City of Edinburgh Council’s proposal to remove teachers from nurseries. Over the past few days I have been speaking to Teachers, Parents, Council Officers, Nursery Staff, members of my party and the EIS about this issue. I have drawn the conclusion that there is not sufficient evidence to progress with this cut. 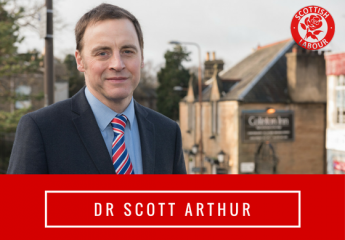 As someone who grew up in one of the UK’s most deprived areas and now works in education, I understand fully the role teachers can play in cutting the educational attainment gap between the richest and poorest in Scotland. I also know that closing this gap should not start in primary or secondary school – it must begin as early as possible. I was therefore concerned to see that the information used to justify this cut is dated and does not take into account social deprivation. The proposal to cut teachers from nurseries will “save” £340,000, but the negative impact may be much bigger. That’s why I will argue that funding be found to block this cut. If that money can’t be found, I will suggest that every household in Edinburgh pays an extra £1.40 in Council Tax per year to help secure the future of our capital’s children. Frankly, it is unbelievable that SNP cuts are forcing decisions like this on Edinburgh. The first nursery in Scotland opened in Edinburgh in 1903. This historic legacy of nursery education, and in particular, sector leading nursery schools led by nursery head teachers, continues to this day. Edinburgh has invested heavily in the quality of its workforce, ensuring that there are full time teachers (who are degree qualified and GTCS-registered) in school nursery classes and in the standalone nursery schools. Good quality can be found across all types of early years settings; however quality was higher overall in settings integrating care and education and in nursery schools. Settings that have staff with higher qualifications have higher quality scores and their children make more progress. Quality indicators include warm interactive relationships with children, having a trained teacher as manager and a good proportion of trained teachers on the staff. The Scottish Government also acknowledges the importance that degree educated staff in nurseries make and have invested heavily in their Additional Graduate Programme for settings in areas of high deprivation in order to focus on closing the poverty related attainment gap. The budget proposal suggests replacing nursery teachers with early years practitioners. There is a significant difference in the level of qualifications between these roles. Although available data is mixed and there is evidence that a few local authorities who have reduced access to teachers are performing well, there is also evidence that removing nursery teachers has had a negative impact on Care Inspectorate (CI) gradings. CI data in the GUS report, on which the officer recommendation to remove nursery teachers was based, was from 2010. The data here is current, as published on the CI website. The 4 Local Authorities in this table without teachers in nursery are all are performing well under the national average, and significantly under City of Edinburgh. West Dunbartonshire removed teachers from nurseries several years ago, however, they are now recognising this as a mistake (as is evidenced by their CI gradings which are up to 39% lower than the national average). They have also found that the impact has been a real disconnect between nursery and primary, which has manifested as disruption caused by P1 pupils in many of their schools. Dundee is currently increasing its complement of nursery teachers, with the explicit aim of closing the poverty-related attainment gap. They have determined that the educational benefits of having nursery teachers working directly in classrooms with pupils, liaising with colleagues in primary schools, and leading teams of professionals, are likely to be a significant driver of improved outcomes at all stages in education – not to mention being a cost-effective way of using their Attainment Challenge funding. It should be further noted that the very mixed provision in different local authorities makes direct comparisons difficult. It is instructive to look at the figures for the different types of provision within Edinburgh. This shows very clear correlations between the presence of nursery teachers in classrooms and quality in terms of care and support. Given all these are within Edinburgh, there are likely to be far fewer confounding factors than with data that goes across different local authorities. A final point – the CI gradings relate to Care and Support within nurseries. They do not report on educational outcomes and, in particular, do not look at how well children manage the transition into P1. Clearly, the specialist knowledge of nursery teachers, with their overview of Curriculum for Excellence and their ability to liaise closely with primary teachers, is central to ensuring that children can make a good start in school, with the lifelong benefits this brings. Edinburgh’s own policies and frameworks, in the Edinburgh Learns documents, highlight the centrality of good transitions, informed by close partnership working and a detailed knowledge of individual children’s circumstances and their learning. This cannot be replicated by teachers who act as “consultants” across many nurseries. It requires teachers working closely with the children, their families, other professionals, and the relevant primary schools. This problem is likely to be particularly acute when supporting children with additional needs. If we are serious about inclusion, and about Getting It Right for Every Child, then specific, individualised transition plans, that have a clear focus on learning and teaching, are essential, and these are something that require the specialist input of teachers. The standalone nursery schools, Balgreen, Cameron House, Greengables, Hope Cottage, Liberton, St Leonards, Stanwell and Tynecastle, led by nursery head teachers, drive quality across the authority, with 72% of Care Inspectorate gradings at Grade 6. It must be remembered that Grade 6 indicates “outstanding or sector leading”. This level of quality, where Edinburgh recognised as leading some of the best practice in Scotland, is more than likely to be lost if the nursery schools are subsumed into the local primary. Teaching on the Edinburgh Early Learning and Childcare Academy for Modern Apprentice and Trainee Early Years Practitioners. Currently 90 students and 60 more to start in August 19. Working groups – Head Teacher’s Executive, Additional Support for Learning, developing planning and tracking guidance and formats. Practice visits – sharing excellent practice with practitioners from across Scotland. Recognition of impact in national documentation, i.e. Care Inspectorate’s Our Creative Journey, 2017 and My World Outdoors, 2016; the Scottish Government’s workforce review. Jane Whinnett (HT at Balgreen and Hope Cottage) has recently received an MBE for her services to Early Childhood Education. Organising conferences – 10th conference took place in 2018 and had 550 delegates at the Assembly Rooms. At a time of early years expansion, it will be impossible to replace 80 nursery teachers by August. Losing 80 staff may undermine the ability of City of Edinburgh to deliver their expansion plans by 2020. Quality is already under threat due to the expansion and removing the most highly qualified staff from nursery classes will have a significant impact on attainment and closing the gap. Due to the pace of change, all early years’ staff are under significant stress. The impact of these proposals is already having a negative impact on morale and levels of sickness absence. The plans to re-deploy nursery teachers to primary classrooms is of concern. Nursery teachers have chosen to specialise in Early Years pedagogy. Teaching in a primary classroom is completely different to teaching in nursery. Some have not taught in primary classes for over 20 years. There is likely to be a significant requirement for re-training, particularly for staff whose classroom teaching experience pre-dates Curriculum for Excellence. This will have a negative impact on children’s outcomes. Although there is not a straightforward correlation as models and quality of support varies amongst local authorities, Care Inspectorate gradings are likely to be negatively affected by taking teachers out of nursery classes and replacing them with staff qualified to a lower level. As we know from the EPPE project, level of qualification has a positive impact on the quality of learning and on outcomes for children. Removing nursery head teachers, will have an even greater impact on high quality practice and will likely result in City of Edinburgh losing its sector leading status. It has been proposed that there will be locality-based teams of teacher and head teacher peripatetic support, however, there is no suggestion of future proofing this model. Without the opportunity to develop skills working in a nursery classroom, it will not be long before there is a significant lack of expertise. Teachers do not like working in peripatetic teams, for example Midlothian regularly lose their Early Years peripatetic teachers to nursery classes in other Local Authorities and have found it hard to recruit. Several East Lothian nursery teachers are now working in Edinburgh rather than in the peripatetic team. There will be no progression pathway for teachers in Early Years, therefore no real incentive to specialise in this area. It’s right that we undertake a dialogue with the public to see if a Workplace Parking Levy would work in Edinburgh. In all the furore surrounding the inclusion of a Workplace Parking Levy (WPL) in the SNP Budget many people seem to have forgotten that the City of Edinburgh Council actually agreed to ask the Scottish Government for these powers in August 2018. The aim was to reduce congestion, improve air quality; enhance conditions for walking, cycling and public transport use; and, raise revenue for transport improvements. Whilst that decision appears to have been forgotten, the current debate has forced me to think more deeply about the some of the problems that would come with WPL. What is beyond doubt, however, is that Edinburgh is growing and the road network is struggling to cope. This makes parts of our capital fairly unpleasant, and the resultant air quality problems are a particular risk to children and those with health problems. The first proposals for WPL were actually made by Harold Macmillan’s Tory Government in 1962-4. These proposals, however, noted that WPL can force parking elsewhere, does not reflect journey length, does not target peak traffic and once the charge is paid it does not influence the number of journeys. Harold Wilson’s 1964 Government did not take these proposals forward. In 2000, however, legislation did enable English councils to enact WPL and 12 years later Nottingham introduced the first (and only) UK scheme. Nottingham introduced the charge not to raise income, but to solve the same congestion problem Edinburgh faces. Unlike Edinburgh (so far), however, Nottingham worked with neighbouring authorities to ensure the charge did not cause problems at the city boundary. The charge started deliberately low, then slowly increased over time – this gave employers (and employees) time to adapt. Exemptions for small businesses mean that only 40% of employers pay the charge. The income was used to fund transformative improvements to public transport. Nottingham’s experience has been positive, so it is right that we undertake a dialogue with the public to see if it would work in Edinburgh. Any income should not be used to backfill cuts, but must be used to transform active and public transport. Lastly, if introduced in Edinburgh I will argue that Edinburgh’s Councillors and Holyrood’s MSPs are first in line to pay the charge. Edinburgh Tram Extension Update Briefing – The Costs have Surged. Below is a briefing from Council Officers on the progress made in building the business case for completing (or some people say extending) the line to Newhaven. The Outline Business Case was approved last year based on an estimated cost of £165m, so it’s incredible to see that’s already risen by ~20% to £196m, & may surge further to £207m. The revised business case will be interesting. A data room is being made available to all Councillors to scrutinise the Final Business Case (FBC) for taking the Trams to Newhaven. The FBC sets out the case for taking trams to Newhaven and outlines the project cost and timescales for councillors to base their final decision on when it goes to Council on 14 March. The FBC has been developed using best practice for major capital projects from both HM Treasury (Green Book) and Scottish Government (STAG) and, after a thorough tendering process, outlines that the project can be delivered within a budget of £196.0m. This figure includes a significant additional risk allocation as well as funding to support local business through the construction process. If “optimism bias”, a percentage added to an overall project cost in order to mitigate potential under-estimation of risk by a project team, is added at 6% (in line with Scottish Government guidelines), the project total is £207.3m. This would still be affordable and self-financing and would not divert funds from other Council services. The number of passengers projected to use the system in year one is almost 16 million, nearly double the patronage forecast for the existing Airport to York Place line in the same year. To provide further assurance, the project team also tested the FBC against the risk of similar, past, completed tram projects using an approach developed by academics from the University of Oxford’s Saïd Business School. The data showed that the project is more likely than not to be delivered within budget, but they also recommended that the Council considers providing an additional risk allocation of up to £50m for all eventualities. Even in this unlikely scenario, the project would still be delivered without putting additional pressure on Council budgets and would represent value for money for the tax payer, deliver significant economic, social and environmental benefits and would be affordable within the overall financial model. This whole approach has been subject to significant scrutiny from professional experts, as well as following the Council’s audit processes. The opening of the data room marks the beginning of the final decision-making process on the Edinburgh Tram York Place to Newhaven project, which completes the originally envisaged Phase 1a of the Edinburgh tram network. The full Final Business Case will be made public later this month as part of the agenda for the Transport and Environment Committee’s 28 February meeting. A further report on the award of the ‘swept path’ and infrastructure and systems contracts will go to Finance and Resources Committee on 7 March 2019, followed by the final decision on taking trams to Newhaven by Council on 14 March. Briefing – Brown Bin Permits Available 4th -19th of Feb 2019. Residents can sign up to receive fortnightly garden waste collections for £25 per brown bin. Residents who sign up in February will be sent a permit 6 – 8 weeks later that will be valid until 6 October 2019. Residents will need to renew their permit again in the summer to continue receiving collections after October. If they choose to renew their permit in the summer then it will be valid from October 2019 to October 2020. Residents without internet access at home can use the computers in our libraries. Residents can also register via phone by calling 0131 608 1100 (option 1, then option 9). Due to high call volumes there may be wait times. We will empty your brown bin once every two weeks all year round. You will need to renew your permit every year before it expires to continue receiving the service. The current permits are valid from October 2018 – October 2019. Permits are not prorated for residents who sign up in February. Residents who signed up during one of the later registration windows (ie February 2019) instead of during summer 2018, will still need to pay £25 to receive collections until 6 October. They can renew their permits this summer to continue receiving a 12 month service after 6 October 2019. Once a resident has signed up we will send them a new collection calendar and permit sticker 6 – 8 weeks later. We will only empty brown bins with valid permit stickers. There is no limit to how many garden waste bins a property can have but there will be a charge of £25 per bin. Residents can share a bin with their neighbours and they will need to agree on one resident acting as the lead for booking and paying for the service. If a resident moves house they can transfer their permit to their new address. They will need to give us six weeks’ notice to update our system and take their brown bin and permit sticker to their new address. Does everyone need to pay? Residents who receive Council Tax Reduction (formerly called Council Tax Benefit) do not need to pay for the service but they do need to register to receive it. Other exemptions such as single occupancy discount or Garden Aid do not qualify for free garden waste collections. A small number of residents in the Colinton area have their garden waste collected by Tiphereth and they also need to register and pay to continue receiving the service. Our costs are increasing and more people are using our services, whilst our income is reducing. The £25 per year charge was agreed by the Council at a meeting in February 2018. We already have 70,747 brown bins registered across the city, which means we can continue to provide collections to more than 65,000 homes while saving over £1.4m towards essential services for the people of Edinburgh. As garden waste collection is not a statutory service and with reducing budgets and increasing costs, we can no longer afford to provide the service for free. Over 40% of councils in the UK charge for a garden waste collection and others have stopped the service altogether. The £25 charge is lower than many other councils and works out at less than 50p per week.